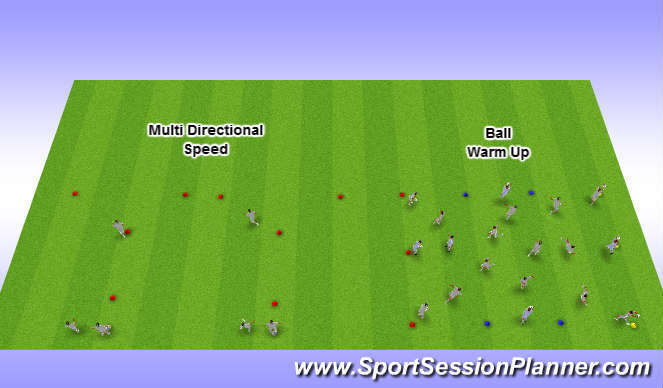 Focus on exaggerated acceleration and change in direction. lateral lunge into Open the gate, when coming back up Close the gate. Learning Outcomes - Changing speed and direction at the same time, Explosive speed, Work rate ratio, start at medium rate then explode into a high work rate.